Sugar has been linked to obesity, illness, and unhealthy lifestyles. Breaking Your Sugar Addiction program provides in-depth tips and techniques on how to beat your sugar habit. This course provides you the keys to making this a successful lifestyle change by personalizing it to your own unique goals and situations. Whether your goals are to decrease weight, feel more energy throughout the day, or improve your overall lifestyle, the Sugar Addiction Series e-course powerful heath tools to take back control over your life and reach your goals. Discover how it feels to release the burden of sugar from your life and what it feels like to transform your life into what you already are designed to be. Are you ready to release sugar's pull on you? 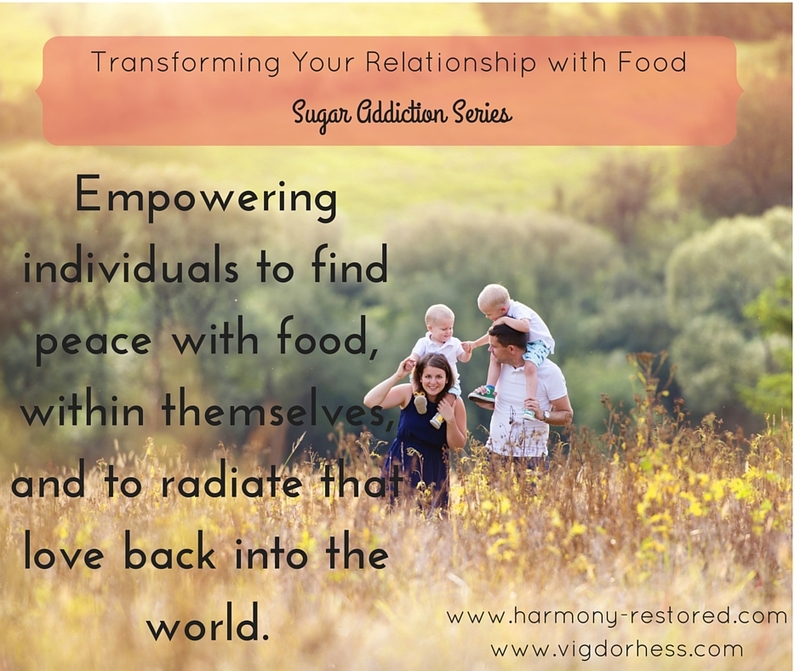 In this 6 part e-course, my dear friend, Wendy Vigor-Hess, RDN, and I bring you realistic tips for curbing your sugar habit. 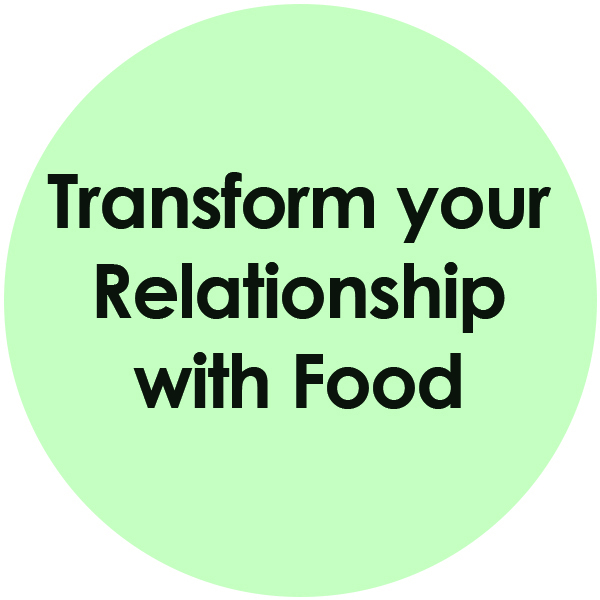 We incorporate a mind-body approach to food, exploring options beyond the typical deprivation/willpower model. 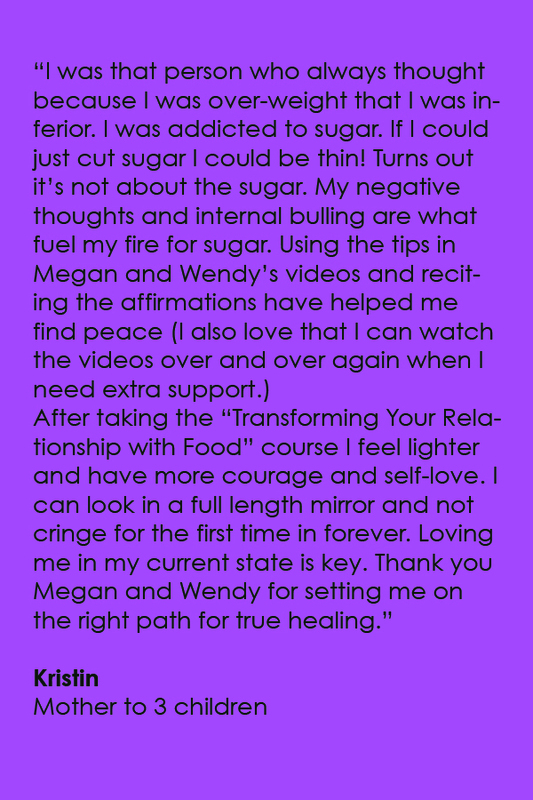 We can't wait to share our tips - physical, mental, and emotional - to release you from sugar cravings. We provide insight into the detrimental effects of sugar on your health and discuss ways to naturally cut out highly addictive foods. This course is designed for people who are already health conscious, but are struggling with breaking the sugar habit. This 6 part video and e-book course combination provides healthy recipes to replace your favorite desserts as well as sample meal plans to get you started. This transformational course is broken up into 6 parts, plus your private online support group. Over the course of six days, you'll receive an email with new videos, affirmation cards, journaling exercises, and your own e-book with meal recipes, wellness resources, and other health tips. 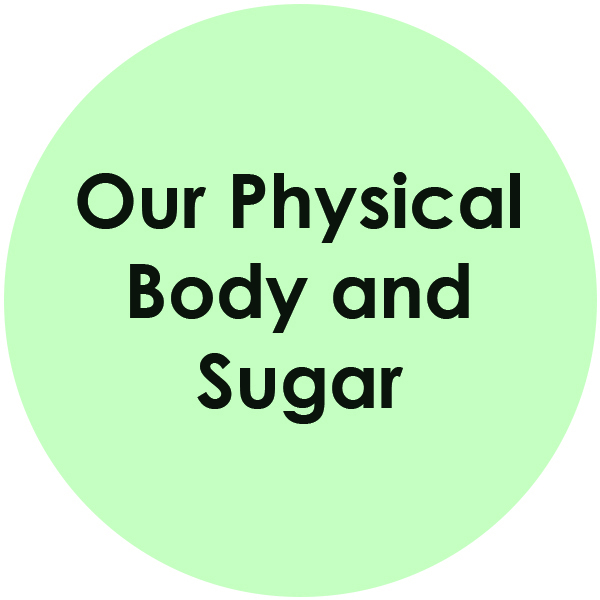 This course provides 8 videos that guide you in understanding more about the emotional and physical effects of sugar as well as alternative sweetners you can start implementing in your life today. Your personalized e-book provides simple and nutritious recipes and snacks ideas that you can implement immediately. You'll also find supplement and cookbook recommendations. Join our tribe as you work through your own personal healing journey. This is an exclusive, private community to share your progress, ask questions, and get the support you need. You'll get personalized affirmation cards to print off and post throughout your home. Our clients have found significant success by posting affirmations throughout their home and repeating throughout the day. Megan Buer, CECP, is a licensed emotion code practitioner, wellness coach, and creator of Harmony Restored. 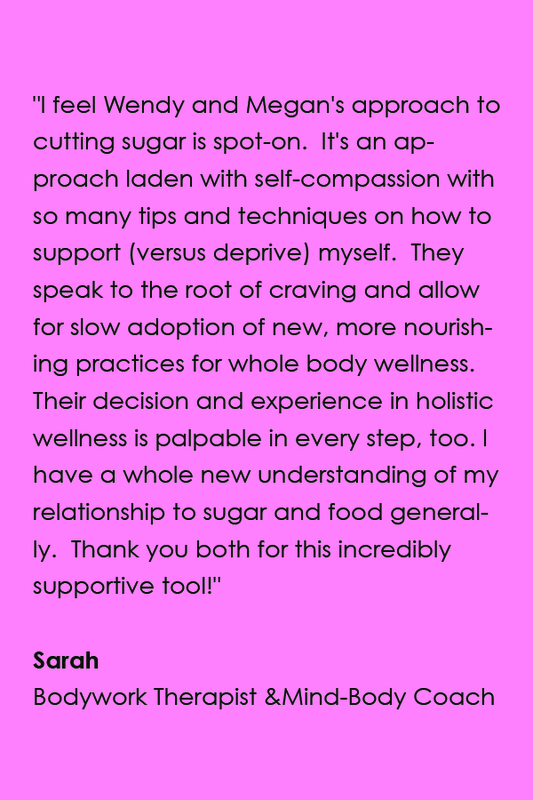 She developed Breaking Your Sugar Addiction based on over 10 years of research, her own recovery from hashimoto's disease, and her clinical work with patients. She focuses her practice on using energy healing, nutrition, homeopathy, herbs, and essential oils. Megan offers consultative health and healing sessions to individuals and families. She is part of the healing team at Revolution Health Center in Scottsville, Virginia.